AIMS provides unique capabilities for Microsoft Azure, including automated anomaly detection for Azure Services, end-to-end monitoring across hybrid environments and active Azure cost control. What is monitored on Azure? Why use AIMS for Azure performance monitoring? 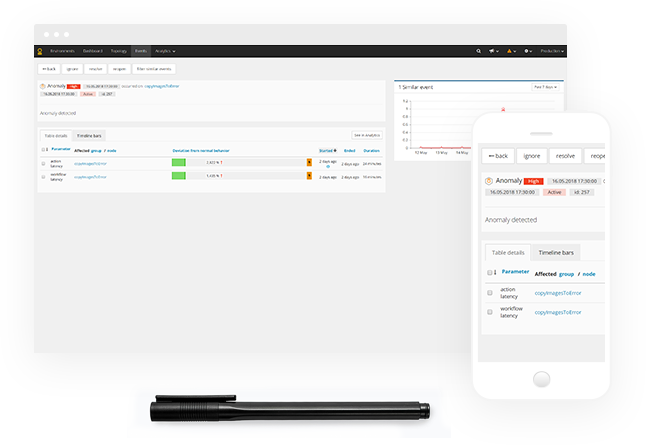 AIMS is the only performance monitoring and governance solution that applies AI and machine learning to give you complete control over your Azure environment. 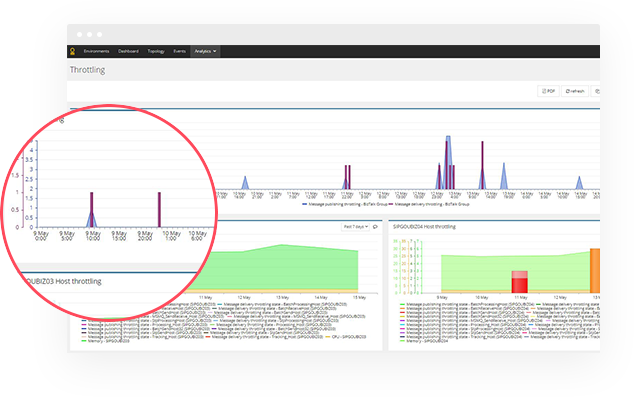 With AIMS, you can automatically detect anomalies in your Azure Services, correlate issues across cloud and on-prem environments and actively control your Azure consumption costs. 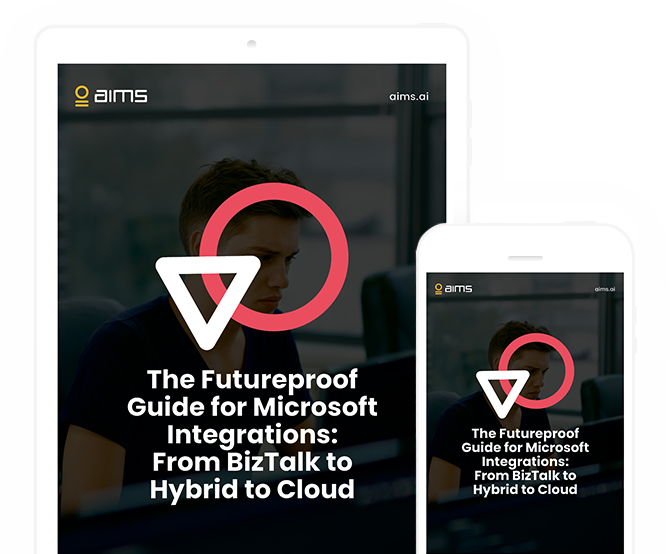 AIMS correlates issues end-to-end across hybrid Microsoft integration environments. Azure monitoring is enabled from within AIMS by authentication towards Azure and usually takes less than 10 minutes to deploy. 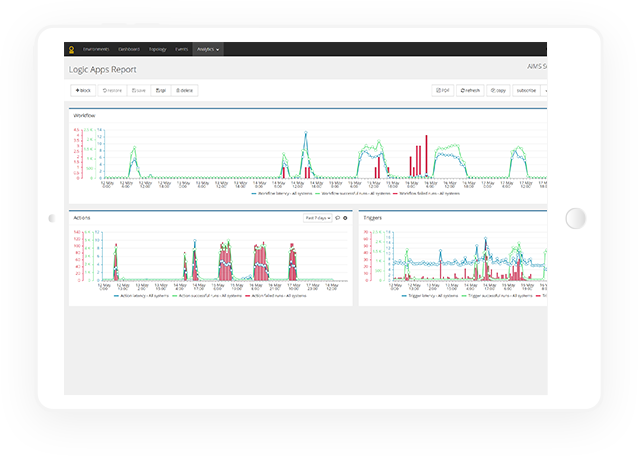 AIMS uses machine learning to predict anomalies in Azure Services, providing early notification of critical performance issues – and also correlates issues across hybrid environments with cloud and on-premise components such as BizTalk and SQL. AIMS automatically generates a 360° topological map of all Azure Services, and notifies you when new resources are deployed – providing transparency into your Azure instance. AIMS fetches your Azure consumption metrics down to 1 minute intervals (vs. hourly from Azure out-of-the-box), enabling you to actively control your Azure costs before you get the bill at the end of each day. Drill down into any Azure Service, component or performance parameter using AIMS powerful analytics tools. Get critical business signals, create health reports, identify the root cause of performance issues across cloud and on-premise applications, verify SLA requirements, plan for scaling and more. Which Azure Services are currently monitored?